If you haven't done so already, head on over to the Avatar Store on the Xbox 360 Dashboard and get equipped with some fine Mega Man gear. These virtual items include a t-shirt emblazoned with the 25th anniversary logo ($1), a Mega Buster arm ($4), and a helmet ($2). 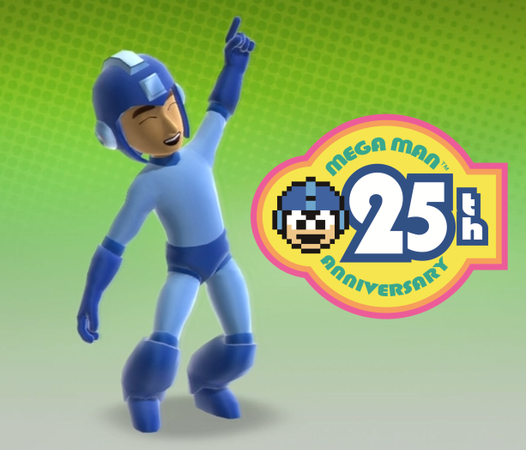 Moreover, you can buy a full outfit based on Mega Man or his Robot Master cohorts ($4 a pop). For the full list of characters, check out the original report here. So, according to something I read on the Internet, the Robot Master costumes are not unisex. Which is to say, they can only be equipped on male avatars. Someone found this very unfair. I do, too, despite the fact that even if I had a 360 avatar, it would be male. Hopefully, at least some of the accessories are unisex. Wow.. this picture of Megaman looks very ugly. Ugh. It's worth a try to see if the fans can complain to get this changed, seeing I had success once. I'm not interested in MegaMan stuff for my Xbox 360 Avatar. I only play RPGs from Japan that are released for the Xbox 360, like Star Ocean 4, Tales of Vesperia and Infinite Unidscovery. Other than that, It's good to see MegaMan goods on Xbox Live. Girls deserve to wear skin tight cyan jumpsuits and blue underwear on the outside as much as any man. In fact, I would be saddened if a girl did not wear a skin tight cyan jumpsuit. that word... I do not think it means what you think it means. "emblazoned".